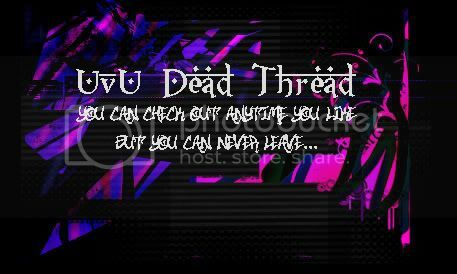 Welcome to the Dead Thread Hotel/Spectator Lounge! Located in the basement of the Imperial Hotel, which is actually a lot nicer then it sounds. Really. [color=dodgerblue]If you're a living player, you shouldn't be here, and naturally you should inform a Game Master immediately, as usual~ And, since Regy wants to play this round spoiler free and there is the Magatama(s) in play, talk about roles and sensitive information in spoilers, please. WHY ARE WE HERE AND NOT BEING ROBOT MASTERS???????? I'd post the entire list of GMs/Mafioso under spoiler tags, but hey - can't be too sure I let anything slip in case someone fell through the cracks. The Internet is often fast and horrible. Whaaat, she asked for it! What did Zakeri do that Tails hates him so much? XD P_A is paranoid. (Also it's DxK who's hidden if you didn't know). "HEY HIDDEN PERSON. APOLOGIZE FOR BEING HIDDEN. NOT COOL GUYS, NOT COOL!"